It was that time once again to head south on 94 and make my way to Chicago, for C2E2 2019, which took place March 22, 2019 – March 24, 2019. It was a two-day event for me, going on Saturday and Sunday. Each year I go seems to be a new experience and this was no different. This year we seemed to focus more on the panels, spending more time in the main room rather than walking around, and when we did hit the convention floor, it was around Artist Alley, getting stuff signed and trying our best not to buy numerous prints/artwork we have no room for. So that meant less pictures of cosplayers this year, but I was able to get a few at the last minute once the show closed on Sunday, and people were lingering outside the entrance. But on the plus side, I got to cover a few panels, with pictures, and hey, even a video for you to enjoy. 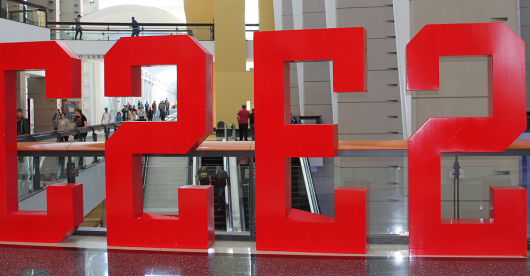 See below for our rundown of C2E2 2019, along with our photo gallery from the convention and panel coverage and videos. 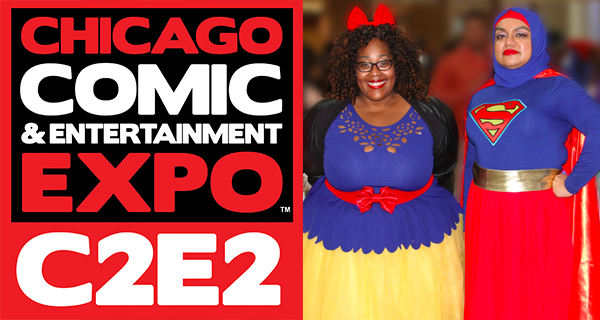 In consideration of this weekend’s C2E2 convention in Chicago, Illinois, I wanted to take a moment to talk to some attendees and discuss the proper way to cosplay. Now, the first thing that you should know about this collection of suggestions is that I am one of the few that can truly appreciate all forms of cosplay whether it be prepared months to years in advance, down to putting on a Jake hat and just wearing brown. So, don’t think this is article that is meant to condemn anyone for their cosplaying desires. And while I’ve not actually cosplayed at a convention, I celebrate Halloween like it should be celebrated. So, I have some expertise within the social costuming segment of the population. Also, you’ll get a bit of a view from someone that shows appreciation to your effort, while also having to deal with the elaborateness of your chosen costume. So, now that we’ve given the parameters of this guideline, let us move along unto the actual list. Rumors have been getting passed around about these two titles for the last few days, but Marvel officially announced the new creative teams for The Punisher and Daredevil during Saturday’s Cup o’ Joe panel at C2E2 2011. Mark Waid, Paolo Rivera, and Marcos Martin will be taking over on Daredevil, while Greg Rucka and Marco Checchetto will be taking over The Punisher. 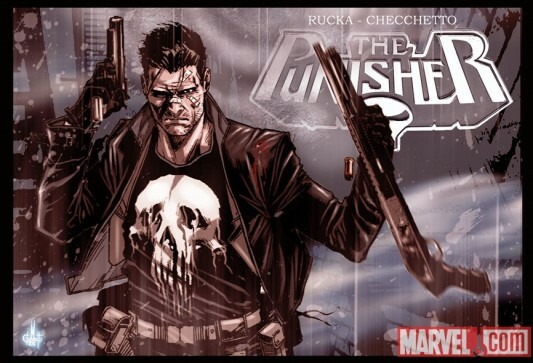 (See Checchetto’s Punisher promo art here above.) The two new series will be released in July and August respectively, with new #1 issues for each series. 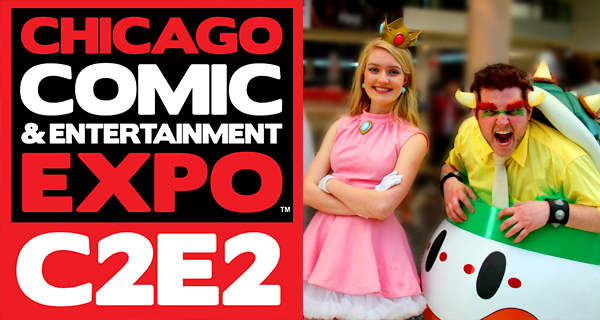 The Chicago Comic & Entertainment Expo, also known as C2E2, is quickly becoming one of the country’s premiere comic book-centric yearly events. 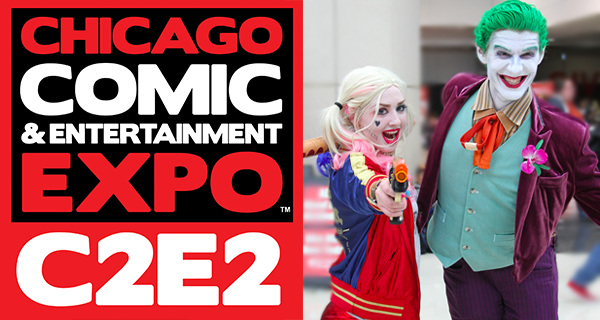 This year, C2E2 is happening on March 18th thru the 20th at the West Building at McCormick Place. During the Jeff Smith spotlight panel at C2E2 this past weekend, one of the questions asked to the creator was what the status on the Bone animated movie was. According to Smith, Warner Bros is working with a company called Animalogic and they have already done a 3D animation test and are continuing to move forward on the project. Animalogic has worked on other 3D films before, notably Happy Feet. Smith was also asked whether he would prefer a Bone movie to be filmed in 3D or if he would have preferred a more traditional hand drawn 2D style, and while he admitted he would have preferred the 2D style, he understood that no one would front the money unless it was made in the more popular 3D computer-generated style. Today at the C2E2, the comic book publisher revealed the name of the upcoming series — The Calling: Cthulhu Chronicles — along with some details. The on-going HP Lovecraft-inspired comic, which will be written by Michael Alan Nelson (Fall Of Cthulhu, 28 Days Later) and Johanna Stokes (Death Valley, Savage Brothers), is a supernatural horror series with a modern spin on the Cthulhu mythos. Sean Phillips (Marvel Zombies) and Federico Piatti will provide the covers, while Christopher Possenti is doing the interior art. 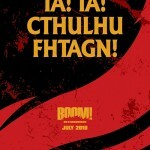 The Calling: Cthulhu Chronicles will join BOOM!’s previous Lovecraftian titles Cthulhu Tales and Fall Of Cthulhu. See below for the official synopsis, as well as the covers for The Calling: Cthulhu Chronicles #1. Marvel is producing four different anime series based on original superhero properties, according to the company, who made the announcement at their C2E2 Animation panel this weekend. Each of the four series will have 12 episodes. Only two series were announced by name: one based on Iron Man and the other on X-Men/Wolverine, according to Marvel’s Chief Creative Officer Joe Quesada. Quesada also stated that the shows were being produced for a Japanese audience — not just anime-style superheroes for America, and promises more details will be announced soon.